I found this panang curry paste at Lotus and I was very excited to try it. As you can see, it’s from Thailand so it’s the real deal. The nutrition facts, ingredients and directions were in English, which I appreciated of course. I bring it up though because in the past we have used Thai Kitchen brand curry pastes, which you can find at most grocery stores. I realize now that though they were good, they were missing a certain something. If you have an Asian grocer near you, I highly recommend buying your ingredients from them when you make this. I really think it made a world of difference. 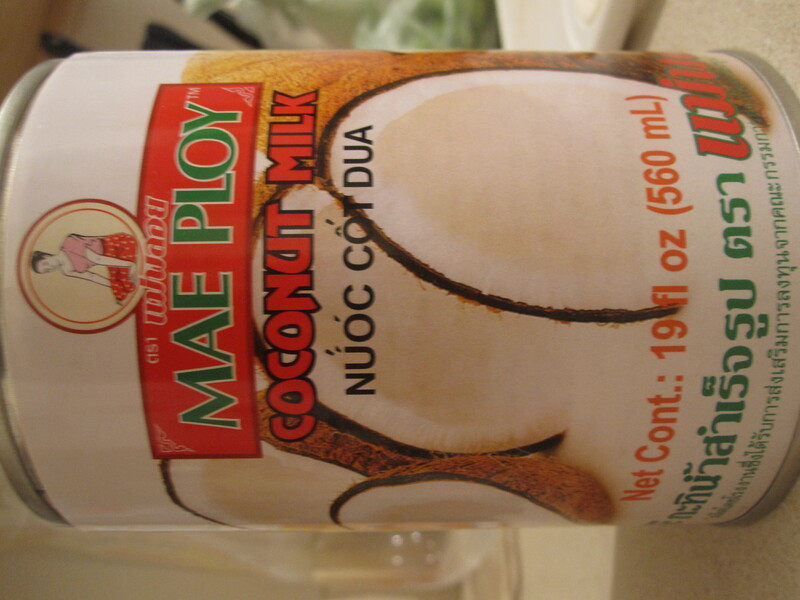 Similarly the coconut milk was an import. 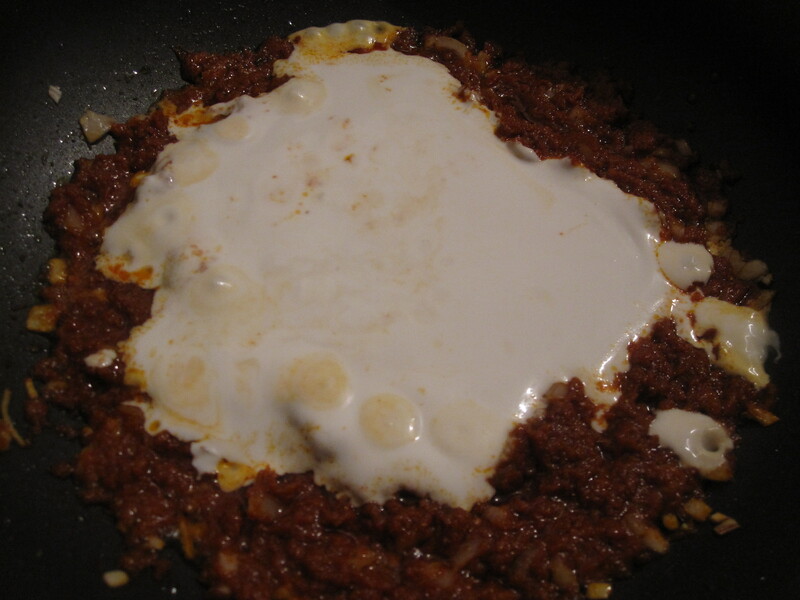 The making of this dish is actually really simple. The directions on the curry paste can instruct you to stir fry the curry paste with some oil. I had an extra shallot hanging around so I chopped it up and threw it in there too. 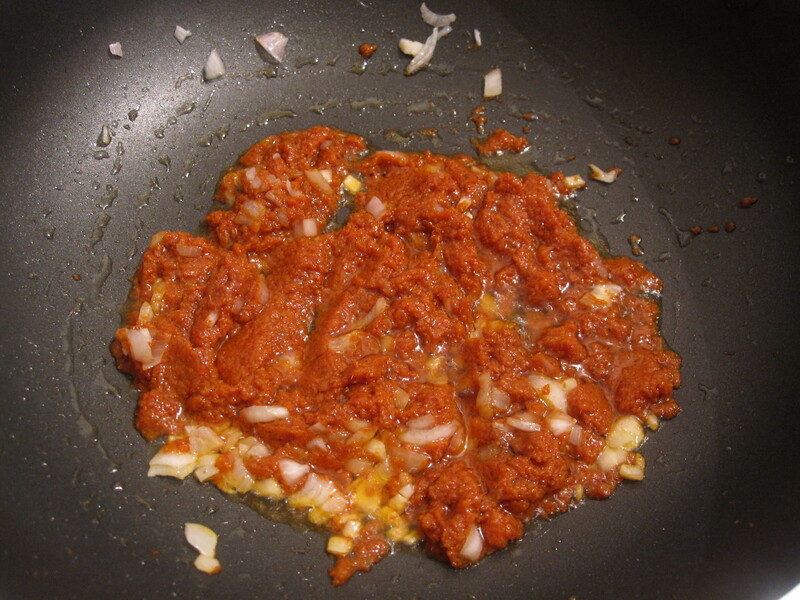 The above photo is of the paste after about 30 seconds of frying. In the next photo you will see how the color deepened. I think this step was ultimately really important and added a ton of flavor to the dish. I had never done this before when making curry, but will always do it now! So, like I said, after a few minutes the paste will darken and it’s time to add half of the coconut milk. It’s also a very pretty dish. I love how the colors swirl like this. 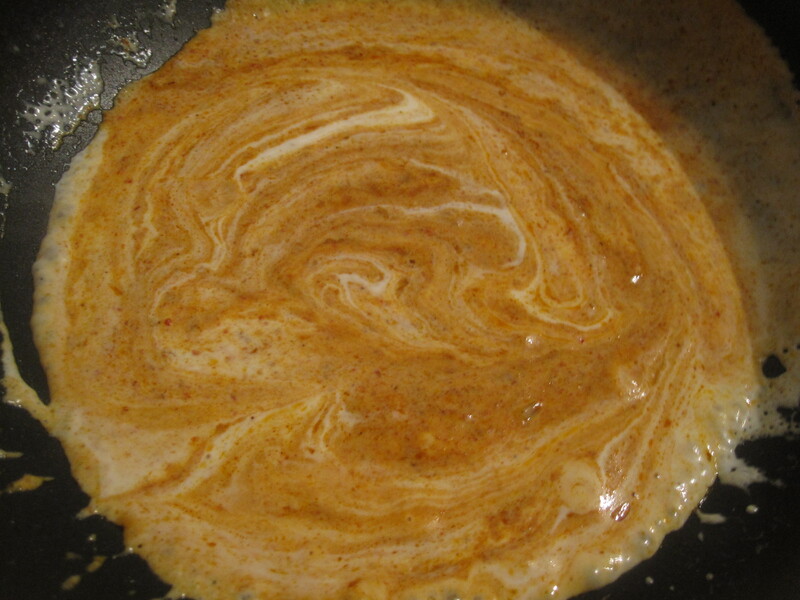 At this point if you were using meat or fish you could add it to the curry sauce and let it cook in there. We added snap peas at this point to soften and cook in the sauce. We wanted a good sear on our scallops so we cooked them separately. 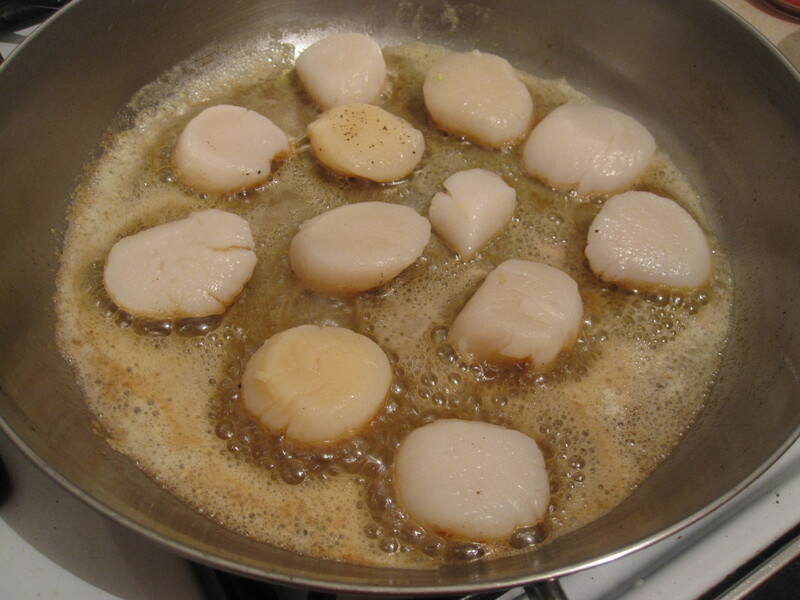 We failed miserably the last time we tried to sear scallops but we were a little more optimistic this time. I made sure to pat the scallops dry. and get the pan nice and hot. I learned to add fat to the pan and used olive oil and butter. I placed the scallops in the pan and didn’t touch them for a minute and a half. I got some good searage, but not exactly what I wanted on all of them. I think I might have crowded the pan a little and I noticed that there was some liquid in the pan from the scallops, which in essence steams them and makes it impossible to get a sear. Maybe I’ll finally get the hang of it next time. Once they were done, or close to it, I added the remaining coconut milk to the curry, brought it up to a boil, and set it aside. 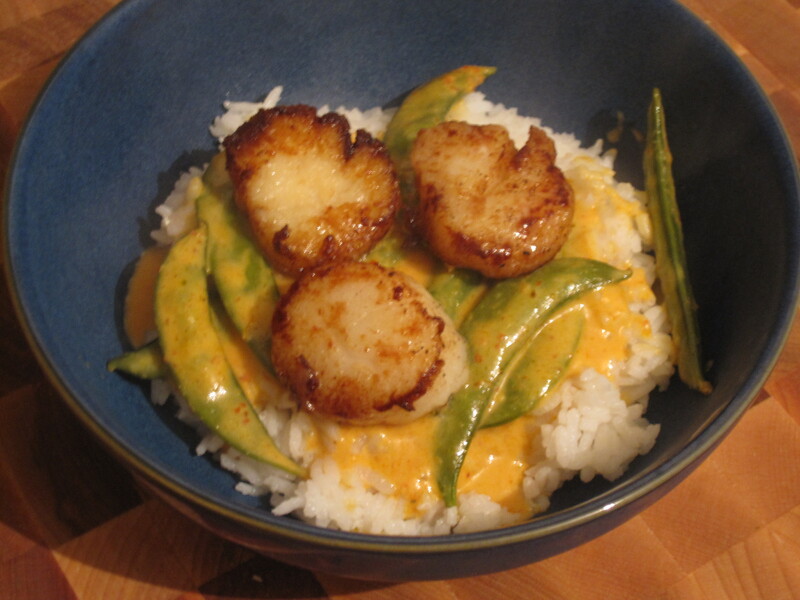 We placed the scallops on top of some jasmine rice and poured the sauce over top. It was so good, I really don’t know how else to say it! The flavors of the curry sauce were nice and complex and complemented the taste of the scallops perfectly. The options are endless when you think about the proteins and veggies you can use. 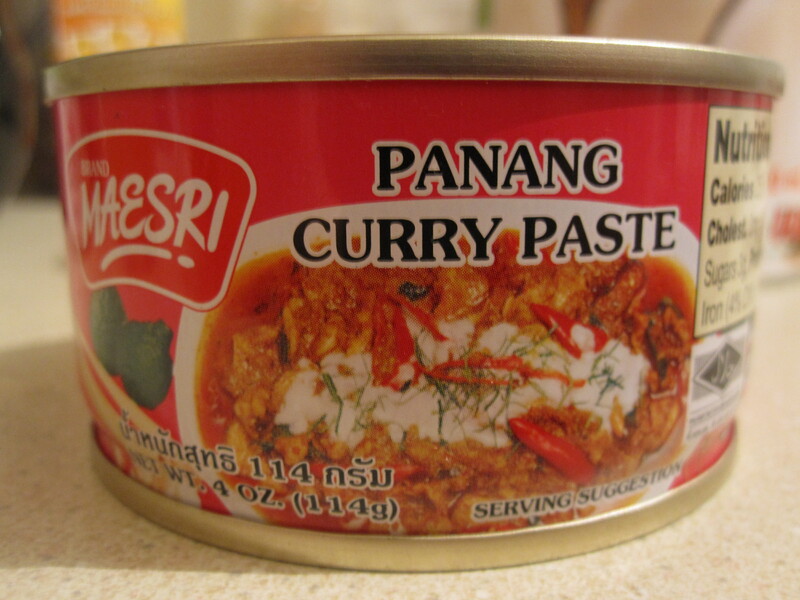 I am so happy I have another three cans of this curry paste in my pantry! 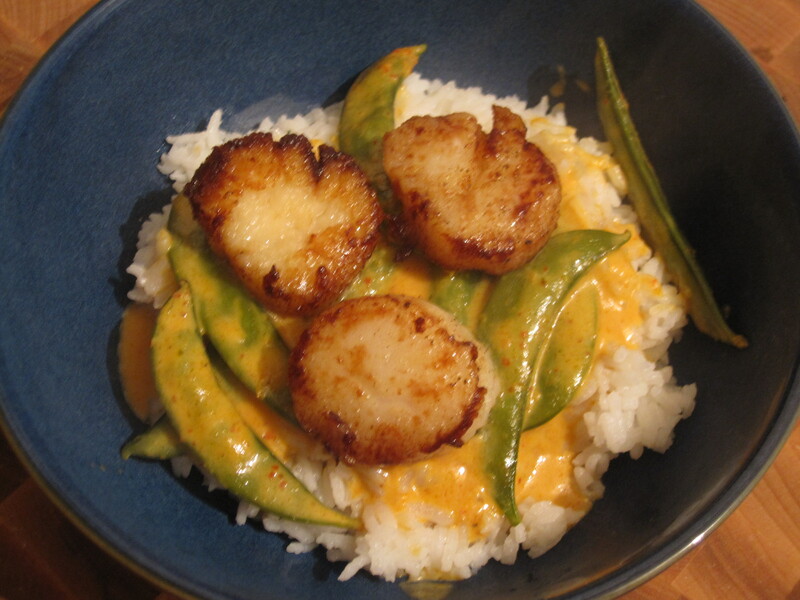 This entry was posted in Asian, Seafood and tagged Asian, coconut milk, dinner ideas, easy, homemade, how to make panang curry, Lotus, low carb, make panang curry at home, panang curry recipe, pittsburgh, pittsburgh food blog, scallops, seared scallops, stir fry curry paste, Thai. Bookmark the permalink. Wow that looks excellent. 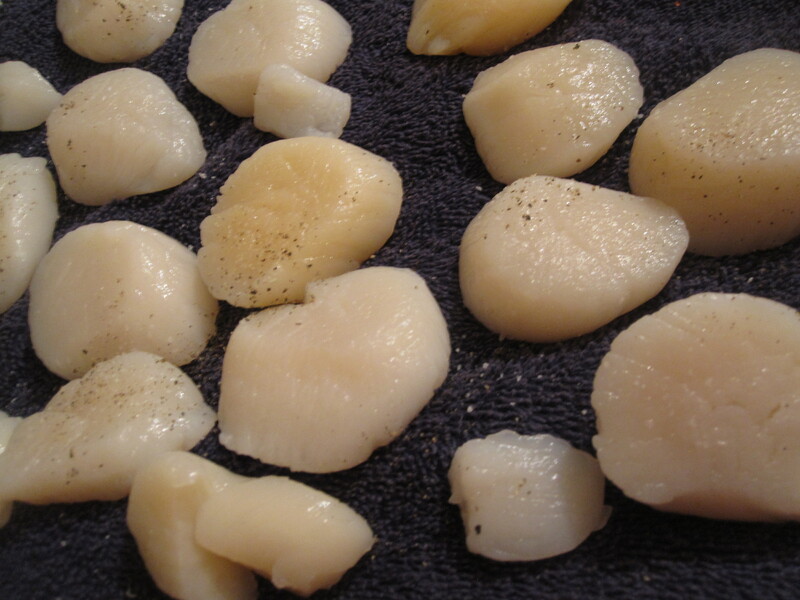 I’ve never made scallops – I think I just may try now! After quite a few attempts at making scallops I’ve discovered that using a non stick pan is essential. Absolutely no stickage and the scallops brown beautifully. I tend to use my la creuset for everything, but it would make a mess of my scallops. I know meat won’t get a nice char in non stick but for some reason the scallops do! Thanks for the tip! It is counter intuitive but if it works I’ll try it! I’ve never tried cooking with curry paste before, but I think I need to give this one a try! Yes give it a try- it’s awesome. You can find it at the regular grocery store (made by thai kitchen) or at an Asian grocer. Good luck!